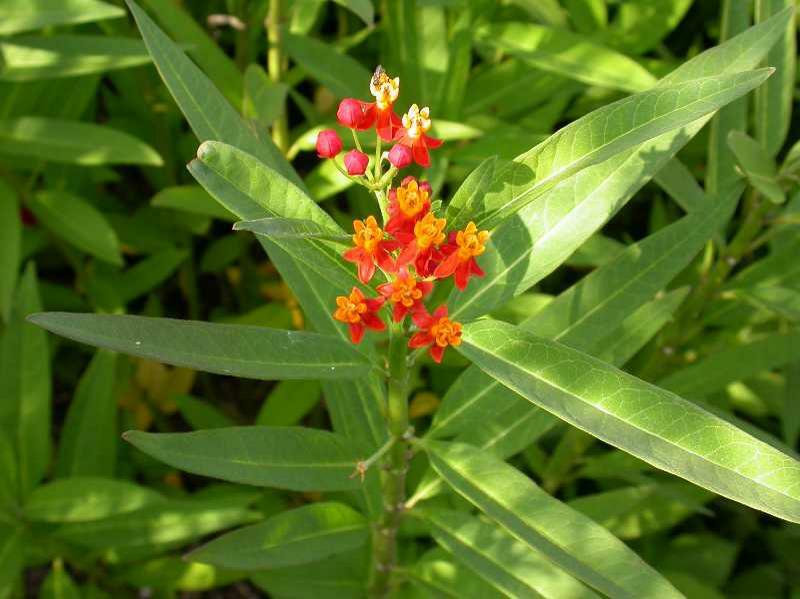 Tropical Milkweed, also known as Blood flower, is a tender evergreen perennial in the dogbane and milkweed family. 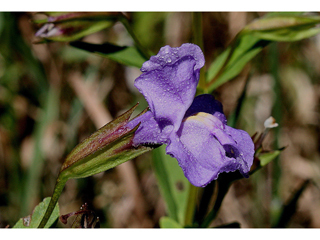 It is native to South America, but has naturalized worldwide in many tropical and subtropical areas. It has a much longer flowering period than the perennial milkweeds that are winter hardy in Michigan. Showy red-orange flowers bloom late spring through late autumn except in USDA Zones 9-11 where it is winter hardy. 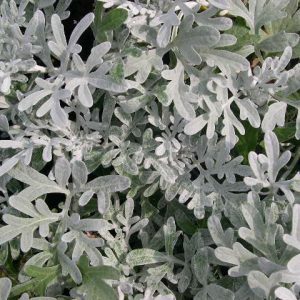 Grows best in light, rich, evenly moist, well-drained soil in full sun. Will tolerate light shade and some soil dryness. Hummingbirds, butterflies and bees are attracted to the flowers. Monarch butterflies lay eggs on this plant and the resulting larvae (caterpillars) use the plant leaves as a food source. Flowers are followed by long, narrow seed pods (3-4” long) which split open when ripe releasing silky tailed seeds for dispersal by wind. Stems and leaves exude a milky sap when cut or bruised. Plants can be poisonous to livestock. 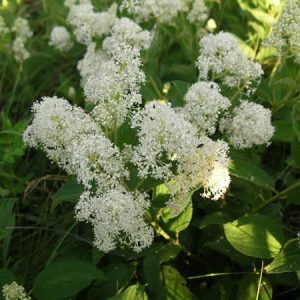 Consider wearing gloves when working with these plants because the milky sap is poisonous if ingested and can be toxic to human skin. Asclepias curassavica Tropical Milkweed is also commonly known as Mexican Milkweed and Blood Flower. Asclepias curassavica blooms all summer long and is a magnet to butterflies, hummingbirds and pollinators as well as beneficial insects. This milkweed also serves as an important food source for developing Monarch larva. 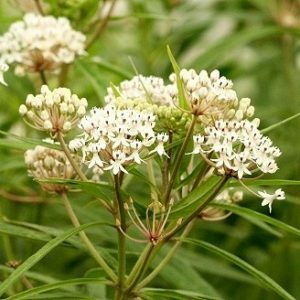 Tropical milkweed is easy to grow and will provide cheerful flowers throughout the summer. 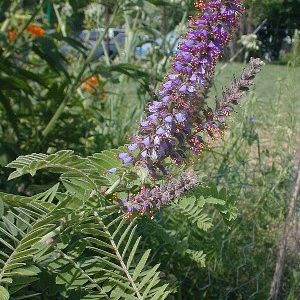 Plants are noted for being weedy in their native tropical habitats and in warm winter areas such as the deep South where they will self-seed somewhat profusely. Container plants may be cut back and brought inside into bright sunny locations in winter. 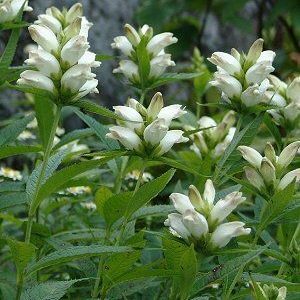 May also be grown as an indoor plant in bright sun with regular watering during the growing season and with reduced watering in a cool location in winter. 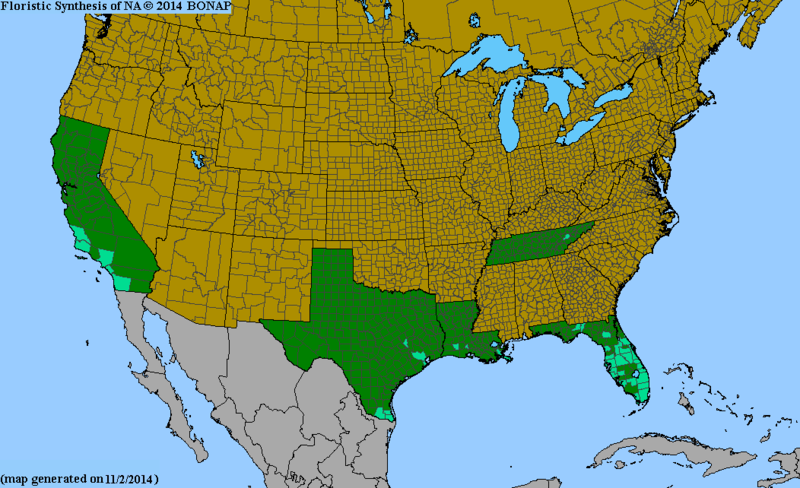 Like other milkweed, Asclepias curassavica Tropical Milkweed is attractive to aphids. Control on outdoor plants may be as simple as spraying the plants with a burst of water from the hose which will dislodge the aphids (and which will have to be repeated all season). 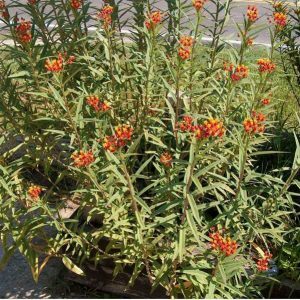 The Perennial Plant Association is proud to announce Asclepias tuberosa as its 2017 Perennial Plant of the Year™. Asclepias tuberosa-Butterfly Weed is one of the most well known wildflowers with its clusters of orange flowers. 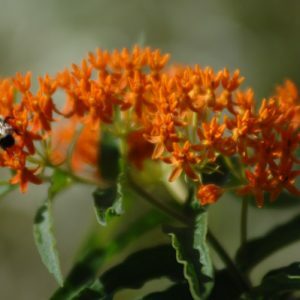 Native to Michigan and widely distributed throughout the United States, Butterfly Weed is a vigorous milkweed variety that produces clusters of flowers that bloom from early summer until frost. 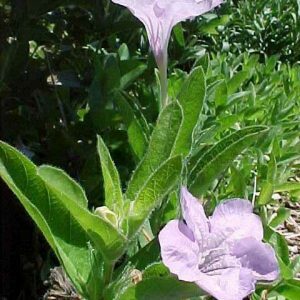 It is a nectar favorite for hummingbirds, bees, and butterflies as well as host plant for the Monarch butterfly. 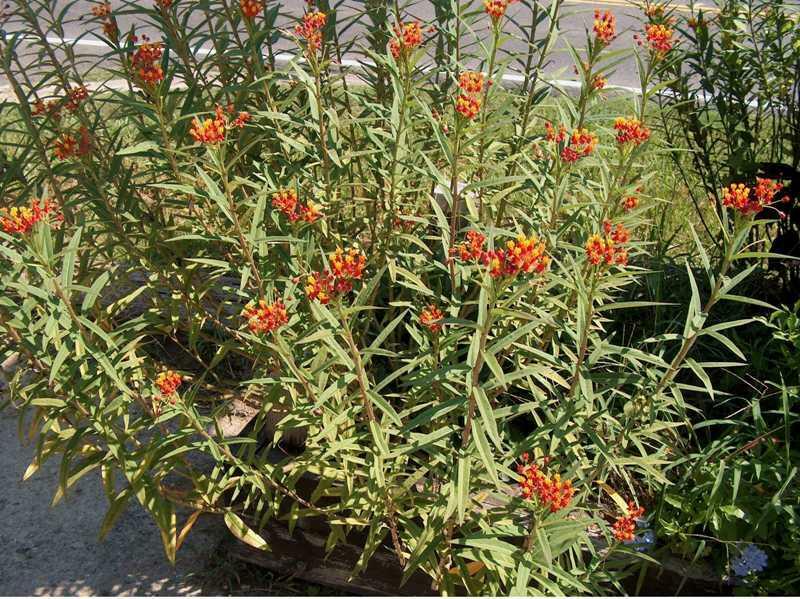 Like most Asclepias, this plant is happiest in well-drained soils. 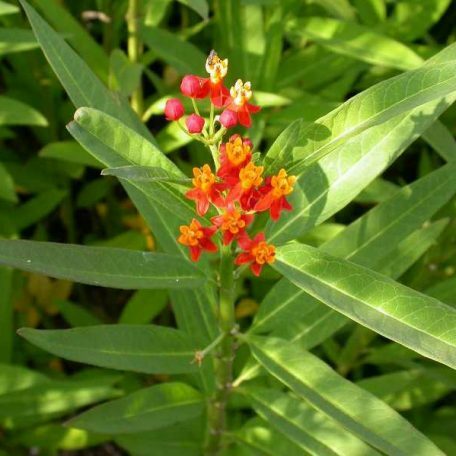 It is a great milkweed for a sunny location in a dry area. Mature plants in ideal locations can make as many as 20 stems at an average height of 2’. The vivid orange color, low mounded profile, and ability to attract and sustain butterflies make this plant a well-known favorite for all types of gardens. Butterfly Weed makes an excellent cut flower.